SKU: 100835 Category: Tippmann Loader Parts Brands: Trinity. 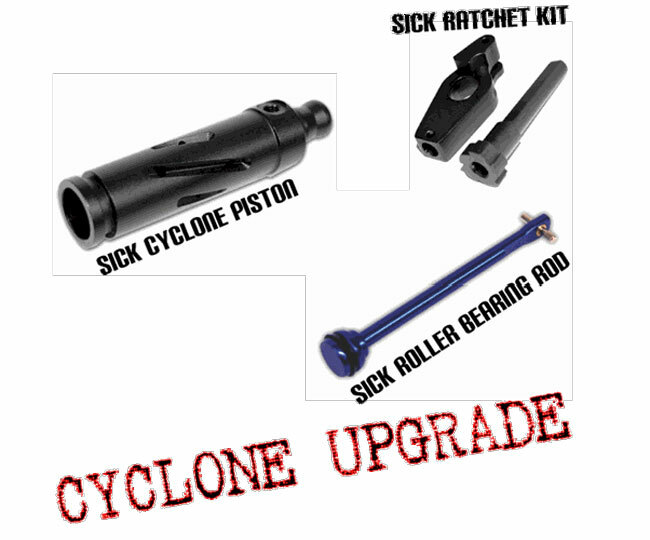 Features * NEW CYCLONE UPGRADE KIT, INCLUDES ALL THE SICK PARTS FOR YOUR CYCLONE SYSTEM. * SICK ROLLER BEARING ROD, SICK CYCLONE PISTON, SICK RATCHET KIT.